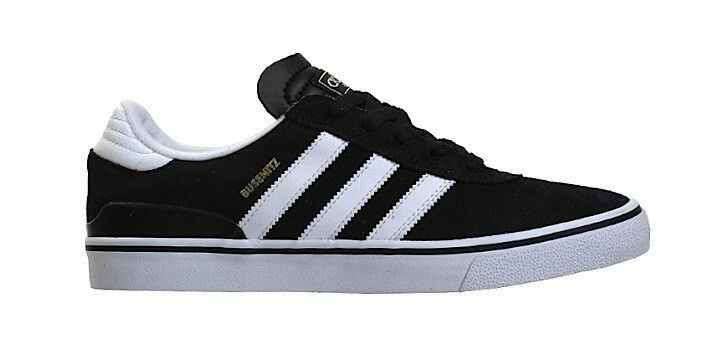 Of the new two "pro models" proposed this season by Adidas Skateboarding for the skater Dennis Busenitz, here for you the Busenitz Vulc, realized in a classic black & white colorway. This sneaker distinguishes itself for the total black suede upper, finished with white inserts on the heel top, side stripes and rubber sole. This shoe is extremely versatile and perfect for any skate session, of course.